Don't miss the record release show on March 19th at The Middle East. 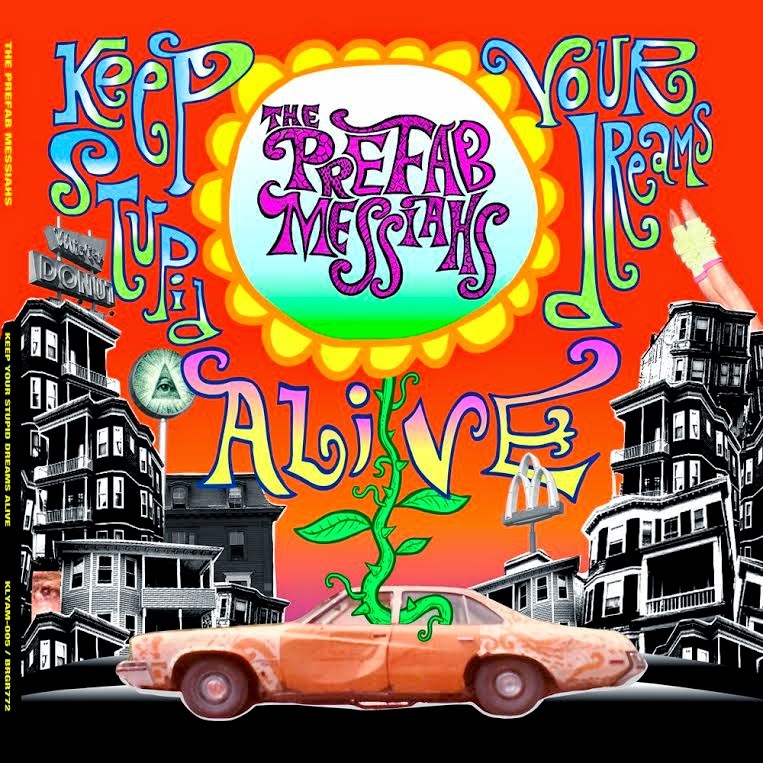 Resurrected from the 80s, by way of a 30th Anniversary mini-tour and reissued anthology, DIY psych/garage band The Prefab Messiahs have adapted to 2015 by hitting social media hard to promote their upcoming new album Keep Your Stupid Dreams Alive, co-released by Burger Records and KLYAM Records. The 8-song record will be available March 10th as 10” vinyl, cassette and CD. Catch The Prefab Messiahs during their March 19th record release show at the Middle East Upstairs with The Fagettes, Magic Shoppe and Fedavees, presented by Illegally Blind and KLYAM Records. Event details. Follow the band on Facebook for additional release and show announcements.